At long last, a day to get outside and start working on the gardening. But, that wind chill made it a bit hard to get lots done. I spent most of today out at the Community Gardens. The Food Bank plot team was preparing the double plot for spring plantings. I have started cilantro from seed, in my garage window, and will be donating some of those plants for the herb site there. I was there today to assist in the row cover sale and orders. We were over in the restored Montjoy barn today. Trying to stay out of the wind. Cutting and folding row cover and selling hoops for low rows. We are going to put in one row so that is next week’s project, if we get the ground dry enough to till. I would like to start some spring plants there. Monday I am off to Sharp’s to return the unused thin version of the row cover, and the last of the hoops. 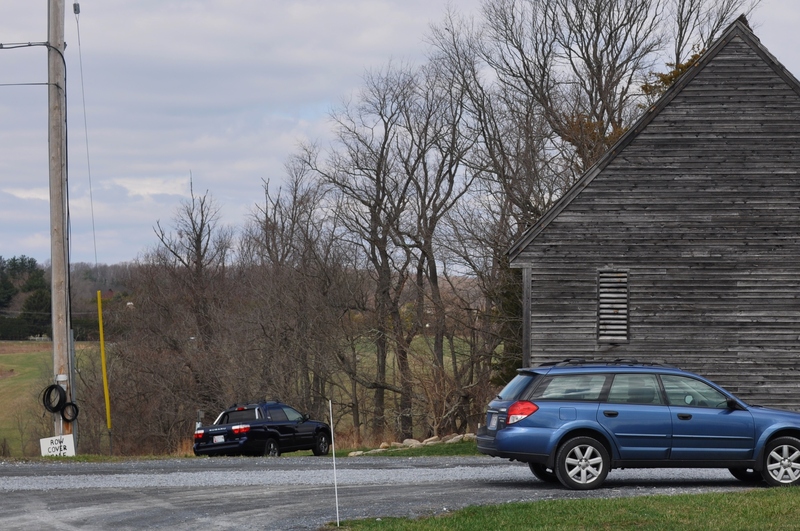 Sharp’s Waterford Farm on Jennings Chapel Road is a great supporter of local businesses and garden clubs all over the area. They open for business on April 22nd this year. And, yes, spring is officially here. 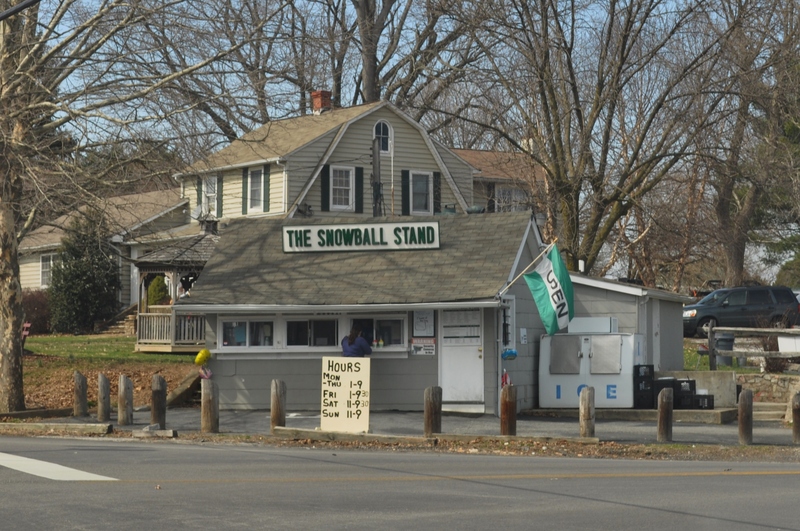 That would be evident as it was opening day at the Woodstock Snowball Stand. A little cold for snowballs, but such a welcome sight. So, Howard Countians. Get out there! Plant a few herbs. Take a ride and get a snowball. Spring is definitely here. 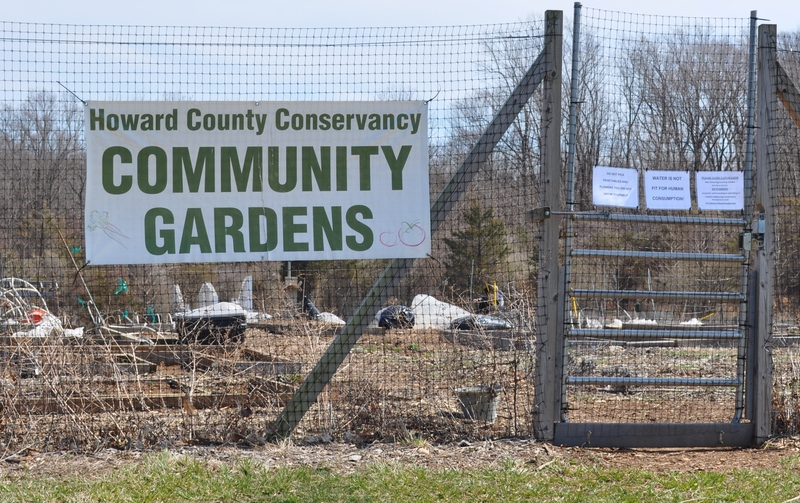 Posted in Community, Farms, Food, Gardening, Howard County, Local Businesses, Volunteering, Weather, West HoCo and tagged community, farms, Food, gardening, Howard County, howard county conservancy, local businesses, volunteering, weather, West HoCo. Bookmark the permalink. Explain row cover and hoops? Better than that, I’ll do a post later this week with pictures. Basically, frost cover and varmint deterrent.